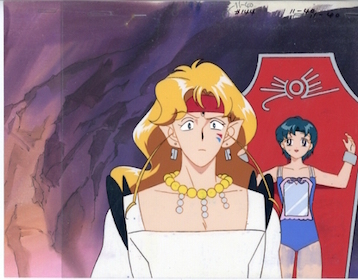 If I were to compare the Lemures in Sailor Moon SuperS to any of the other Monsters of the Day, I’d say their closest match about probably be the early Dark Kingdom youma. What do I mean? Well, the Lemures felt a lot like just lower-ranking members of the Dead Moon Circus, like they were simply lower on the corporate ladder than the Four Kings, who had already managed to secure positions as supervisors through long days at the office, countless unpaid overtime, and a little bit of corporate schmoozing. Contrast that with the Cardians, Droids, and Phages, and you can see their role is pretty different. But that’s not what we’re here to talk about, now is it? We’re here to continue taking a look into where the Lemures get their names from. Stick around as we continue with Part 2 of this series! In case you’ve somehow just stumbled across this page, it might help to start from the beginning. You can find Part 1 here! Now that you’re all caught up, I figure we can pick up where we last left off. We already learned about some of the differences in the Lemures that served under Hawk’s Eye and Fish Eye, and about how they treated their Lemures slightly differently. So today we’ll continue our story with those that served under Tiger’s Eye! With nearly a third of all of the Lemures serving under Tiger’s Eye, he’s definitely the most active of any of the members of the Dead Moon Circus. 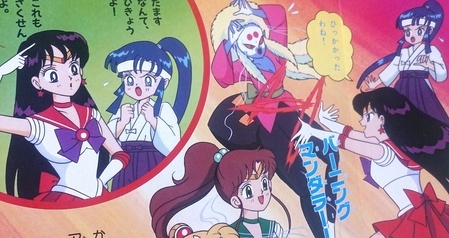 Much like those that serve Hawk’s Eye, all of his Lemures have names that end in the character ko, which is a play on the popular Japanese naming pattern for girls, where many names end with the character 子 (ko; child).1 Minako (美奈子) is an obvious example of this, as are Ikuko (育子) and ChibiUsa’s friend Momoko (桃子). Unlike Hawk’s Eye, though, he refers to his Lemures with the more familiar and endearing honorofic –chan. This poses interesting issue in English because it tells us something about how the Amazon Trio view their relationship with their Lemures, but it also doesn’t come across well in localization. Either the translator leaves in the honorific (I’d rather you kill me first), or cuts it out and some of the nuance is lost. Honestly, I’d rather that lost nuance be made up for with clever translation and phrasing to convey the same sense of familiarity, but that’s just me. Read also: What is the Connection Between Ami’s Mother and Germany? But I think we’ve strayed pretty far off topic, now haven’t we? Let’s take a look at those Lemures, huh? Karakuriko: This comes from the Japanese word からくり人形 (karakuri ningyou; mechanical puppet),2 which is the inspiration for this Lemure both in name and design. Karakuri were mechanical puppets made between the 17th to 19th century that could move using springs and gears. Pretty cool! Kyokubadanko: Her name comes from the Japanese word for circus troupe, 曲馬団 (kyokubadan).3 I wish there was more to say, but… pretty straight forward! Otedamako: Would you be surprised if I told you that her name comes from a Japanese word for juggling, specifically referring to small little beanbag that are popularly used in children’s games, called… you guessed it… お手玉 (otedama).4 No? Good. Puuko: Am I the only one who finds Puuko really creepy? Like, a woman made entirely out of latex or some form of rubber who inflates herself up. That’s just not right. But we’re not here for that. Her name comes from the sound of someone blowing air, like when you purse your lips together and blow, or inflate a balloon. Kigurumiko: So, kigurumi (着ぐるみ)5 is a hard word to get across in English. Not because the concept is difficult, but more because we don’t have a simple word. Basically, think the the guy inside the Goofy costume at Disneyland,6 or Chuck E. Cheese, coming to visit your table at your birthday party. Basically a character costume, which is what she wears when dressed as a kangaroo. Tenko:Now this one is a really fascinating story. 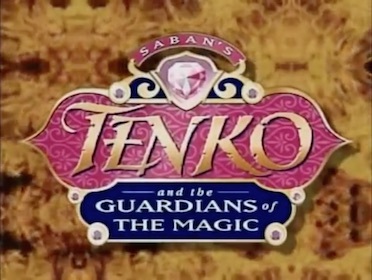 She’s named after the famous Japanese magician Mariko Itakura, though probably better known by her stage name Princess Tenko.7 Even more interesting is that in 1995, Saban Entertainment — yes, the same Saban Entertainment that made that Sailor Moon — made a cartoon loosely (very loosely) based on the character of Princess Tenko called Tenko and the Guardians of Magic.8 Small world! Hebihanabiko: You know those black pellets sold during fireworks season that you light on fire and then they start to grow and stretch out, looking like black snakes? Well, those are known in Japanese as ヘビ玉 (hebitama) and ヘビ花火 (hebihanabi), meaning “snake ball” and “snake firework” respectively. And that’s where she gets her name! Mizugeiko: This is an interesting double pun, since depending on how you break up the characters it can have different meanings. Her name in Japanese is written as 水芸子 (mizugeiko). Taken individually, the characters mean 水 (water), 芸 (art, technique, craft), and 子 (child). Put together, 水芸 (mizugei) means to perform tricks with water (which would include water techniques, mastery over water) and we’ve got the Lemure-shared 子 (ko) at the end. Conversely, 水 (mizu) means water, and 芸子 (geiko) is a word for geisha used in Kyoto. So! Multiple meanings in one word. Fun! 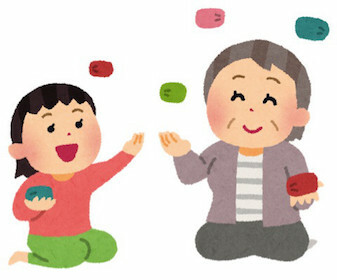 Ayatoriko: 綾取り (ayatori)9 is a Japanese children’s game played with string, known in the west as cat’s cradle.10 I’m sure there are differences in intricacies, but for our purposes, I think we can consider them the same thing. Bakkonko: Together with Gittanko, this duo makes up a common word used by kids to refer to a seesaw — ぎったんばっこん (gittan bakkon). These two words are probably in reference to the noise a seesaw makes as one side goes up and the loud thumping sound made when the other side falls down. Ponko: Her name comes from ポンプ (ponpu),11 the Japanese word for pump because, well, she has a water pump. 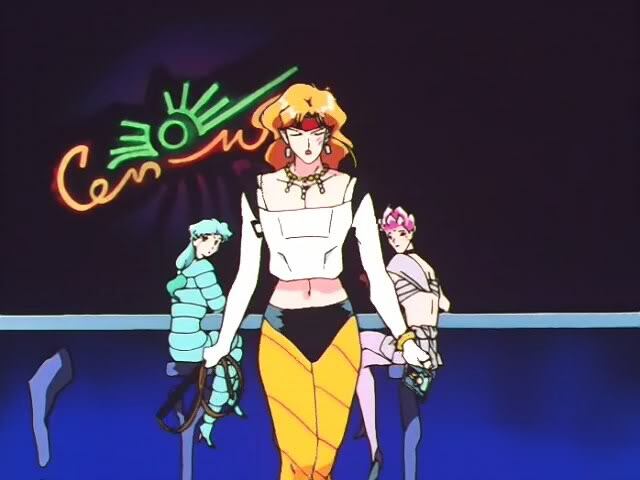 And with that, not only does it take us through all of Tiger’s Eye’s Lemures, but also finishes up the names for all of those serving under the Amazon Trio! After the pretty boring names we got in Sailor Moon S, I’m glad to see that they got a little more creative in this season. Though it may not be as much of a deal for those of you reading this (and I understand that many of you actually prefer to have the names, story, and dialogue as accurate as possible), I actually greatly enjoy thinking about what would be the best way for these names to get localized and still convey their meanings to a different audience. It’s fun to think about! Read on in Part 3! I think it would be cute to localize these as a stereotypical little girl’s name + the relevant pun. 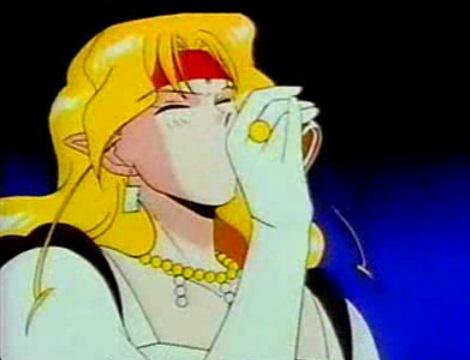 I am terrible at thinking of puns so I don’t know if I can come up with any good ones, but maybe something like “Mary-Annette” for Karakuriko. There really are a lot of options when you think about what the original was conveying, and a fun way to get it across in English. Like maybe adding -y at the end of a name (like you do with kids’ nicknames) for the -ko ones? 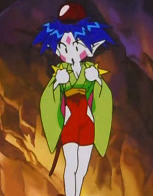 Or, like you mentioned, adding in a typical little girl’s name, like “Molly Doll” or something for Karakuriko. I’m probably just overthinking things, but I think there is a point where demanding language accuracy (i.e., exactly what the Japanese said) means that we lose meaning accuracy (the feeling/idea the writer wanted to get across). Are kigurumi not something like “mascots” in English? Pretty much! Though, strictly speaking, they don’t necessary have to be famous. I imagine one could make their own kigurumi of their own original design. Also, cosplaying in a large costume (such as a Gundam, or maybe Ninja Turtle) would also count as kigurumi. But yeah, basically a mascot is generally what it’s like!